Authorities searched Saturday for the shooter or shooters who wounded a man outside of a home in Altadena. 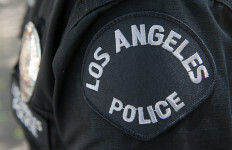 Deputies responded at 8:30 p.m. Friday to a call of a shooting with several shots fired near the corner of Palm Street and Olive Avenue and located the victim, according to Deputy Trina Schrader of the Los Angeles County Sheriff’s Department. The victim suffered non-life threatening injuries, Schrader said. A description of the suspect or suspects was not available. It’s unclear whether the shooting was gang-related, said Schrader. Anyone with information about this incident is asked to call the Sheriff’s Department at (818) 248-3464.